Employee engagement is a crucial ingredient in the recipe for success. If staff members are not treated like stakeholders in an organization, productivity and morale suffer. One survey found that employee engagement around the world is currently at a low-point. Interestingly, the FinTech industry is one place where that is not the case. Black Mountain Systems shows other companies how to make a world class product and have fun doing it too. According to a recent New York Times article, more jobs were created in 2014 than in any other year since 1999. Employers have hired more than one million people since November 1, 2014. While it is nice to know new jobs are being created, it is also important to consider job satisfaction. Being paid is one thing, being fulfilled in life is something else entirely. Especially with regard to highly-specialized jobs, where people spend years studying and amassing credentials to become qualified executives, job satisfaction is key. Industries like technology and finance require varying degrees of learning and experience, and once that knowledge is ascertained, executives strive to excel at their companies and enact positive changes. As such, it is no surprise that employee engagement is a top concern for companies today. Employee engagement is essential for business success. The Harvard Business Review pointed out that companies spend over $720 million each year on employee engagement. Organizations want their staff to behave like owners, displaying loyalty and vested interest. Similarly, employees need to feel valued and confident that they have a future at their place of work. Perennial engagement survey leader Gallup found that employee engagement today is at a low point. The 142-country survey revealed that only one in eight workers is psychologically committed to his or her job. The majority of employees around the world are not motivated in their jobs and have negative feelings regarding their companies and positions, but fortunately, this is not the case in all industries. The Harrington Starr reviewed 100 financial software companies for a white paper on great places to work. The group found that in the FinTech industry, employee engagement and morale are at outstanding levels. Twenty companies were singled-out for their engagement efforts and ongoing commitment to employee development. 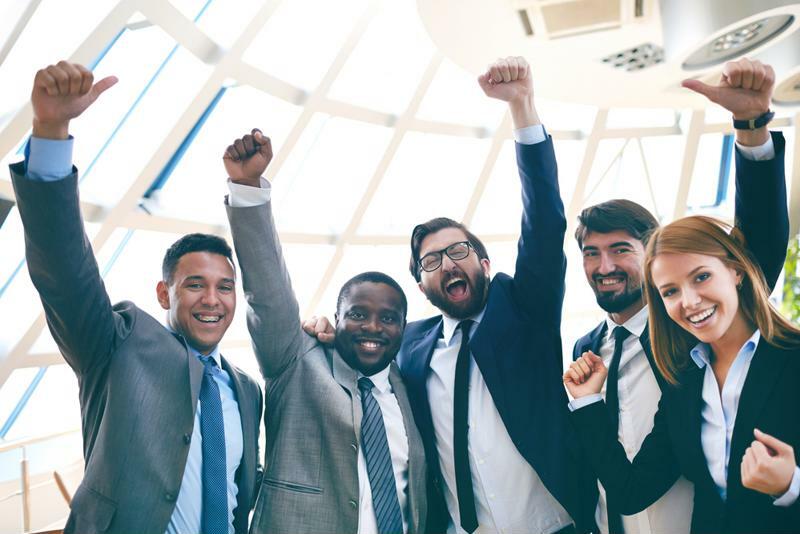 Each of the companies named understood the importance of cultivating of a positive work atmosphere, listening to their staff and acting on the feedback they receive. There were several common themes that The Harrington Starr found amongst these companies – people want to work for organizations with great products, employees like to feel challenged, and staff members perform better when the organization is committed to their career development. Creative rewards and incentives paired with a strong work ethic yielded superior results for FinTech. One company noted by The Harrington Starr for its exceptional commitment to employee engagement was Black Mountain Systems – a software company that develops innovative, tailored solutions for data aggregation, process management, and business reporting. Black Mountain Systems has a fun atmosphere where staff looks forward to coming into work each day. The company maintains a challenging environment and staff is constantly required to learn new things. Effort is rewarded with good pay and consistent job enlargement. A quick look at the careers page highlights just some of the positions Black Mountain Systems employees currently enjoy. The Harrington Starr explained that Black Mountain Systems has achieved true employee engagement. Accordingly, the company holds town hall meetings through video conferencing on a regular basis, where the entire company meets for 30 minutes in “the collaboration room” to discuss the issues of the week. Employees are viewed as partners and teachers. Each staff member is given an opportunity to share his or her knowledge and everyone is empowered with consistent messages and the information needed to hit the ground running. Black Mountain Systems’ technology products have become the industry standard for the front office of alternative asset managers. It is noteworthy to mention that Black Mountain Systems sponsors annual offsite trips, for all employees, to focus on team engagement and formally discuss company goals. It is easy to see that this is an organization that knows how to work hard and play hard. The results speak volumes and staff will agree.